Thank you Natalie and Alex for leaving me such a sweet review on Google. Click to see their unconventional wedding. From the get go, Nathalie and Alex warned me that they were unconventional and so would be their wedding. "That's perfect", I responded. Together, Nathalie and Alex made a super cool couple with distinct personalities and an open attitude to life. 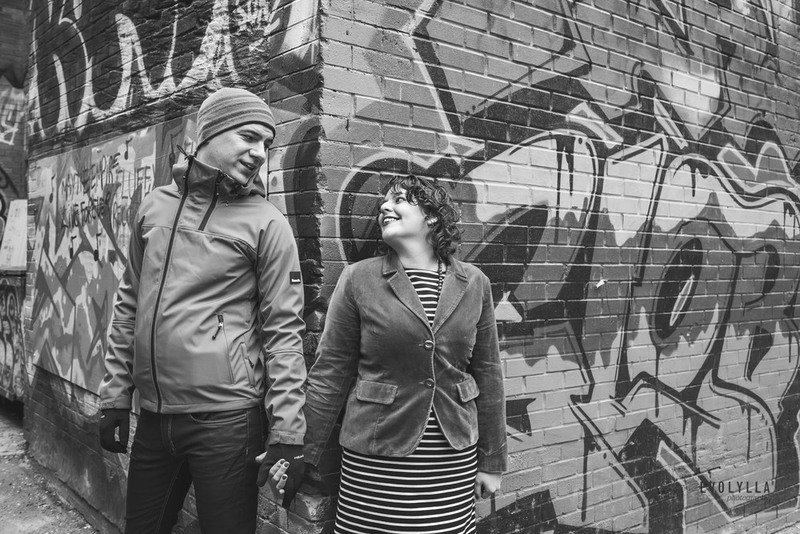 In this Spring morning, we started the engagement session at their home and moved our way to Kensington Market, one of their favourite places to hang out on the weekends. The neighbourhood was perfect for the couple. From the lively graffiti alleys to fashion district, from the crowded Chinatown to the multicultural Kensington Market, it's at the heart of Toronto and fully represented the city's openness to diversity. 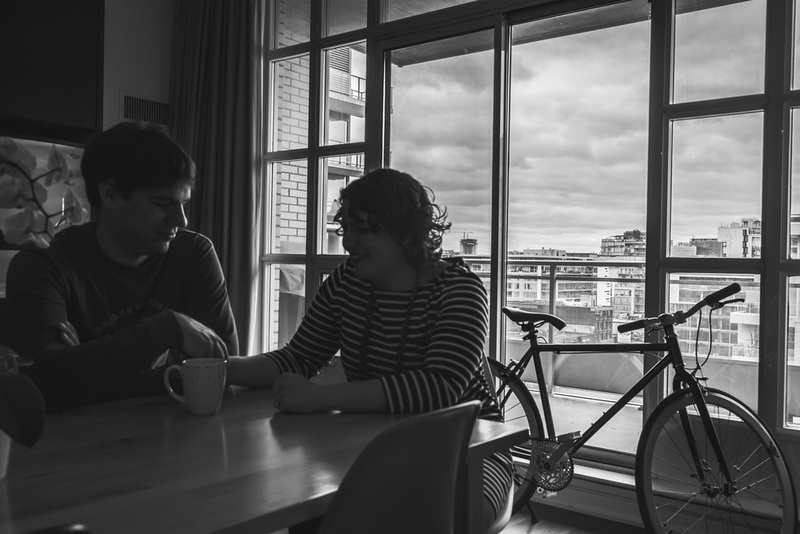 I had a lot of fun documenting a typical weekend morning for Nathalie and Alex. I can't wait to see them again in their wedding and continue the illustration of their intimate love story with more photographs from the special day.